New turf is in some ways comparable to a new pet or a new family member. It needs a lot of TLC in the early days and must be maintained to make sure it lasts a long time. You’ll be relieved to know you don’t need to change its nappy or litter tray, but if it is not cared for and nurtured, it will die. Many of the people who lay new turf and then go on to care for it incorrectly or not at all often blame the turf company, but the turf company didn’t kill it! Here are some tips and advice to help you to care for your new turf. Don’t walk on your turf without placing something on it first, such as boarding or some planks. If you just step straight onto it, you’ll leave footprints. You can make life easier by turfing the edges first, then working from the furthest point backward to prevent you having to put any pressure on it at all. If you need to use boards for access, step on these and these alone. Remove the boards once you have finished. Try and avoid letting your pets on it too for a few days. Take them for a walk when it is time for them to do business! When your turf has rooted into the soil, which usually takes 2-3 weeks, you can walk on it as normal. It sounds simple. It is, to an extent, but some people just assume that rain will do all the work, and it won’t. Turf grown on turf farms has had its roots cut when it was lifted, and so watering the grass is essential when it comes to growing new roots. It can take up to four weeks for turf to become established and this is the most important time in which it needs to be nurtured. You should use a hose pipe, as anything less will not give enough water. If you have a sprinkler attachment, that makes life much easier, and distributes the water more evenly – be sure to give the edges plenty of attention! A good thorough soaking should be done after laying, and then it should be watered daily for the first few weeks or until the roots have knitted into the soil beneath it. Take care not to drown your turf though; it could end up rotting. Moving the sprinkler every 10 minutes should prevent this, and never leave it in the same place for over 15 minutes. Check the water is soaking through sufficiently and that the roots are growing well by occasionally lifting the turf. If it rains, certain areas of the turf, especially sheltered ones, may not get enough water, so pop round and water these patches separately. 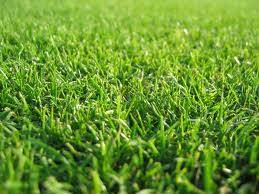 The first time you cut your lovely new turf should be after about two to three weeks after laying, or when the grass blades reach around three to four inches in length. Start with a gentle trim, taking off no more than an inch. Mowing little and often can help to increase the number of grass blades growing, which can in turn help to reduce or prevent moss and weeds. Just like anything you grow in the garden, a good fertiliser is key to successful growth. All the turf we sell comes with free fertiliser which can be used either before you lay the turf, or afterwards. It is quite easy to use, simply spread it sparingly across your lawn (it is very concentrated) and then water your garden as normal. Some sources recommend fertilising four weeks after you lay your turf, then every 8 to 12 weeks after that, because mowing can remove some of the nutrients in your grass. Everyone’s lawn can be susceptible to disease, moss and weeds so keep an eye out for problems and treat it as you find it to prevent death or brown patches from occurring. Cold weather and frosts can be hazardous to new turf, so avoid laying in winter where possible. If your turf freezes, it can curl up and may not settle back into place properly. Don’t be complacent in wet weather; it may still be that your turf has not had enough water, so lift a corner to check if you aren’t sure. When laying turf around trees and shrubs, there is a chance that water dripping from the leaves might wear out the grass in the shelter of the tree. If you notice thinning, you may need to seed it to increase its thickness and to replace or regrow worn areas. By giving your lawn the love, care and attention it needs in the early days, and regularly maintaining it, you should be able to enjoy it for years into the future.